The U.S. Army Space and Missile Defense Command conducted a test of a new Conventional Prompt Global Strike (CPGS) weapon earlier today. However, the test did not go as planned and the Army was forced to destroy the weapon prematurely. “[The Army] conducted a flight test of the Advanced Hypersonic Weapon from the Kodiak Launch Complex in Alaska,” reads a statement released by the Defense Department. According to the Pentagon, program officials are investigating what went wrong. The Defense Department’s CPGS program is an effort to develop a conventional non-nuclear weapon that can hit any point on the globe in less than an hour. While previous efforts have focused on the development of conventionally-tipped intercontinental ballistic missiles (ICBM), fears that the launch of such a weapon could be mistaken for a nuclear strike prompted the Pentagon to look at alternatives. 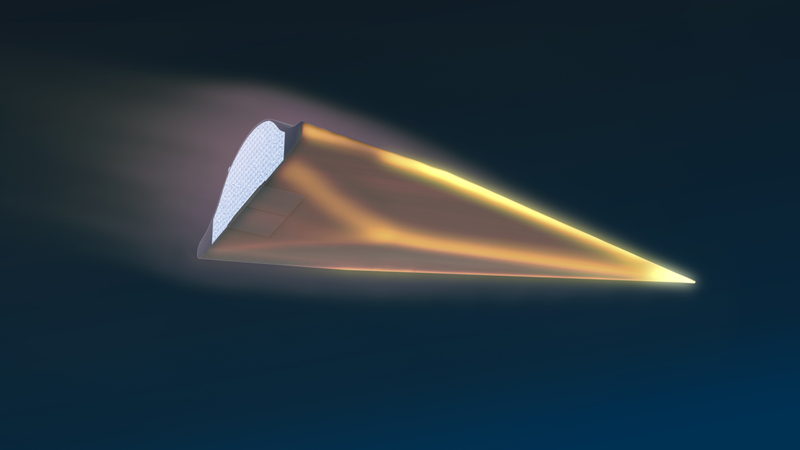 “This test, as with past flight tests, was designed to collect data on hypersonic boost-glide technologies and test-range performance for long-range atmospheric flight,” wrote Maureen Schumann, a spokeswoman for the Office of the Secretary of Defense. In pervious incarnations, CPGS was to be based on a conventionally-armed variant of the Trident II D5 submarine launched ballistic missile that forms for cornerstone of America’s sea-based nuclear deterrent.